This chair started out with great bones, but not really the finish I wanted. The Ironstone Nest sent to me. 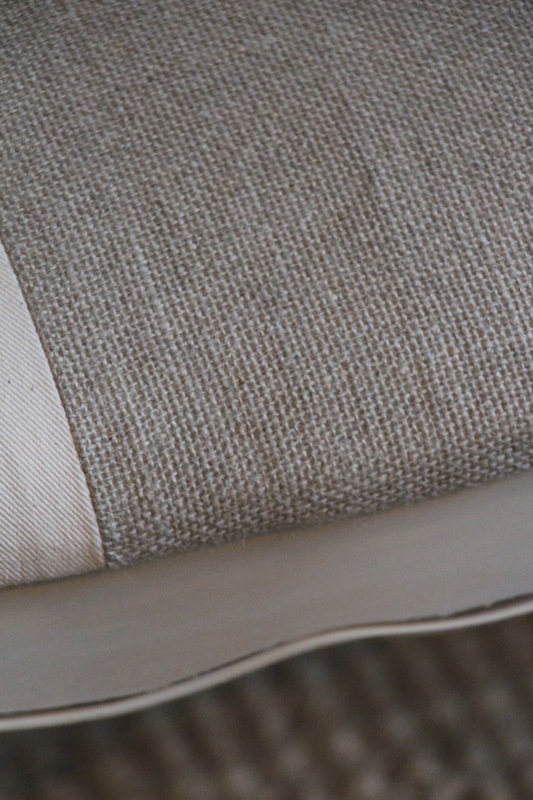 First I took off the seat and covered the vinyl in cotton with a linen burlap stripe down the middle. Then I painted the whole thing first with grain sack, then with marzipan. I finished off with finishing wax and a bit of dark wax after sanding. The paint was super easy to use once I got the hang of it and it gave the overall finish a really smooth feel and look. I love it! I cannot wait to find more things to paint. 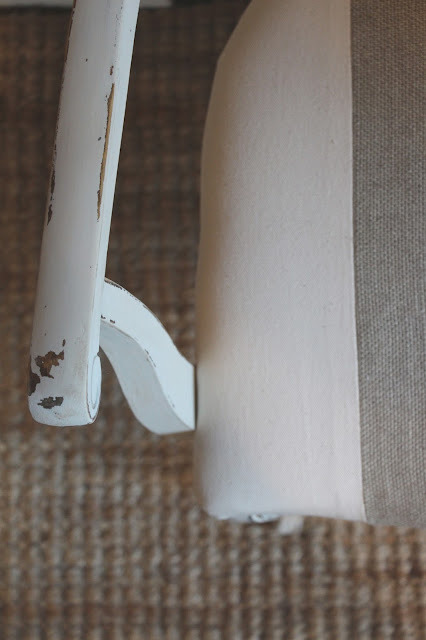 Have you used Miss Mustard Seed paint before? 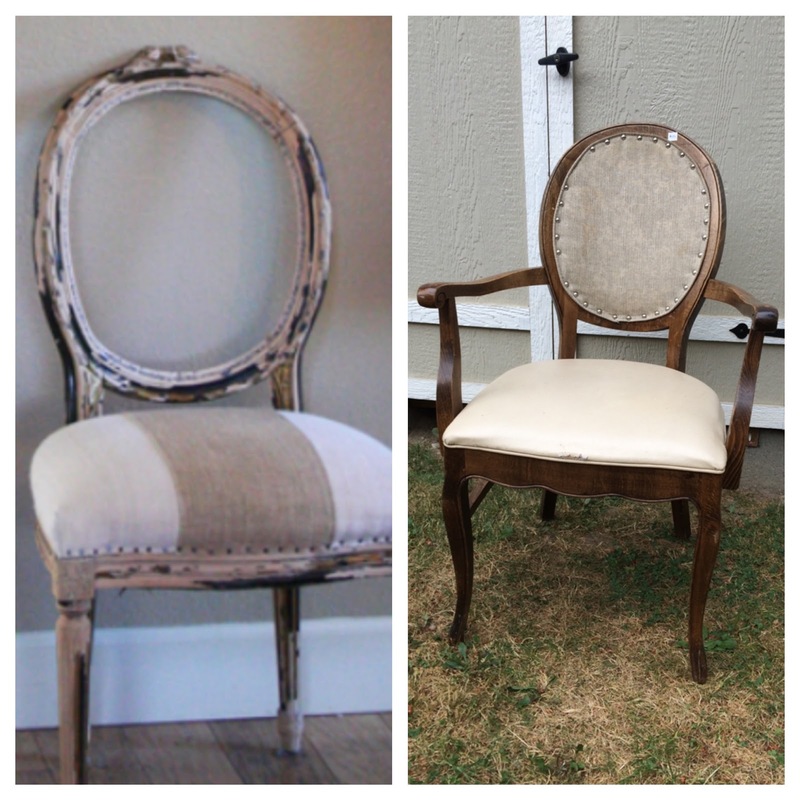 This chair makeover is my favourite! As soon as I saw your inspiration photo I knew it was going to be good and you did not disappoint! Just stunning! 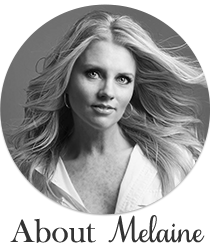 it's beautiful Melaine! 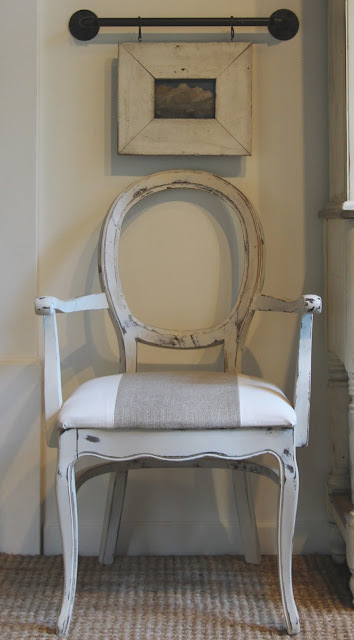 can you tell me where you got your "grainsack" linen fabric that you covered the chair with? i have a similar chair in our bedroom that i want to recover and think that fabric would work for me. thanks! I got mine at a flea market years ago and have been saving it for a special project. I love it because it's super soft and doesn't leave loose fibers all over. You could try googling it, good luck! It's a great look and you did a great job in replicating it. Nice! Your chair looks great! I haven't tried the MMS paint yet. 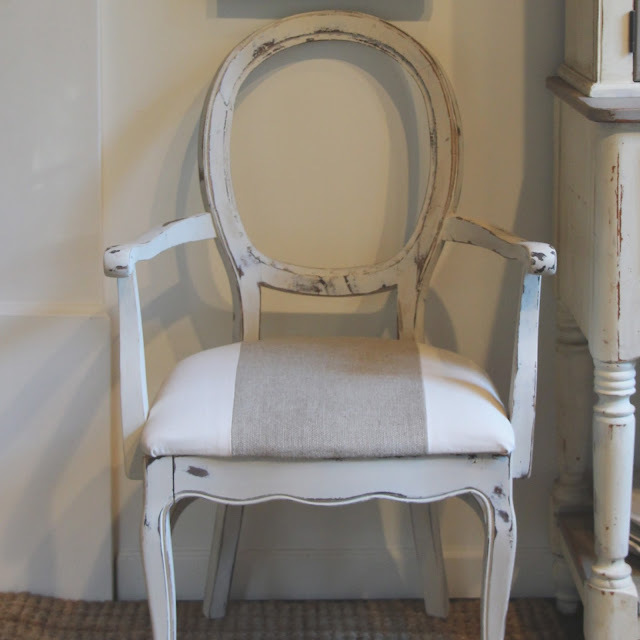 I've used chalk paint - how does this differ? I love MMS paint so much, that I became a retailer and carry it in my shop! I have used LOTS of different paints - chalk and clay paints, other milk paints, acrylics, latex, everything. Hands down, MMS is my favorite! I love all the things you can do with it! And the finish with hemp oil is just gorgeous! Love it! 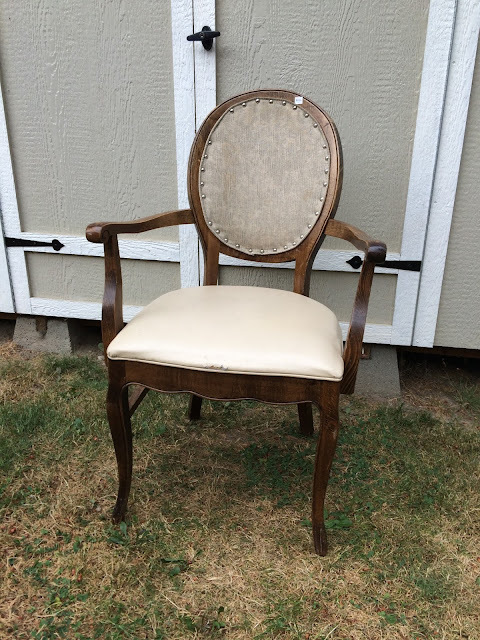 Can you give details on the piece that is sitting next to the chair in the last photo? It looks like you did the same paint finish on it, but I'm not sure. I'd love to know the details. Thanks! Jual Obat Wasir !!! Segera Hubungi Kami Dan Pesan Obatnya Sekarang Juga di Fast Respond : 087705015423 PIN : 207C6F18.